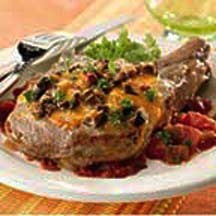 CooksRecipes has quality, kitchen-tested recipes for baked pork chop dishes that you can count on for successful deliciousness. Take the top prize and win over your dinnertime crowd by serving up the grand-prize-winning recipe of the "No Recipe" recipe contest by Michael Holowis of Pottstown, PA.
Pork chops and applesauce—been there, done that? 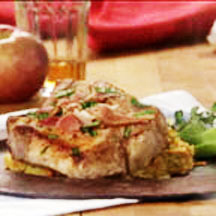 Then try these chops served with sweet potatoes and apples for a twist! 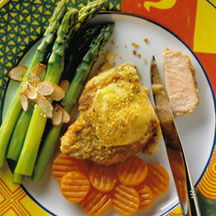 A special dish for a dinner party that can be put together before your guests arrive and pop in the oven just before dinner.